Vanessa was first introduced to yoga at the age of 6 when she practised with her grandmother first thing in the morning. She has always sought answers to life, death, health and spirituality. This has led to extensive world travel and experience of several different cultures and ways of living. 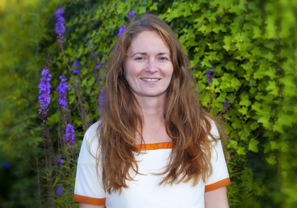 She first became aware of Ayurveda during her early twenties and she first studied massage in 1999. She then became a Reiki Practitioner in 2000 working up to Master level in 2003, and has studied Buddhist Methodology and meditation. However, there was always something 'missing' and she was soon seeking some guidance on nutrition. Then a year away travelling to India, brought the direct experience of Ayurveda. The complete package! She had the great fortune to study Ayurveda for two years with the European School of Vedic Studies (EIVS) with renowned western teachers Atreya Smith and Dr David Frawley on Ayurvedic Nutrition and Lifestyle and Clinical Nutrition. She has also completed a Clinical Internship at the Panini Clinic, Pune, India and has since completed further studies with Dr Vasant Lad of The Ayurvedic Institute, Albuquerque and Dr Deepa Apte of Ayurveda Pura. After having her first child in 2009 and second baby in 2012 and having used Ayurveda very effectively herself throughout her pregnancy and childbirth (both home births with no pain relief other than Ayurvedic massage and mantra), she then went on to train as a doula. In this role she now supports women throughout pregnancy, childbirth and the postnatal period. The two passions have now merged into one cohesive programme of natural, intuitive, caring support, combining the timeless wisdom and practice of Ayurveda with modern day living.